Thug’s career has yet to slow down. That continual growth and exposure has brought him to understand he must take extra steps to stay ‘Safe’. The visual above which was apparently shot backstage at the Boy Meets World Tour headlined by Drake, finds Thug looking happy and comfortable as he opens up about the good and the bad that comes with success. The mastery of his cadence on this track makes it one of his strongest releases this year. With joint projects alongside Lil Bibby and producer Southside on the way, G Herbo took a trip to NYC and once again demonstrated his ability to spit vivid stories. While at Hot 97 he sat down with Funk Flex to share his perspective over a classic Dipset beat. 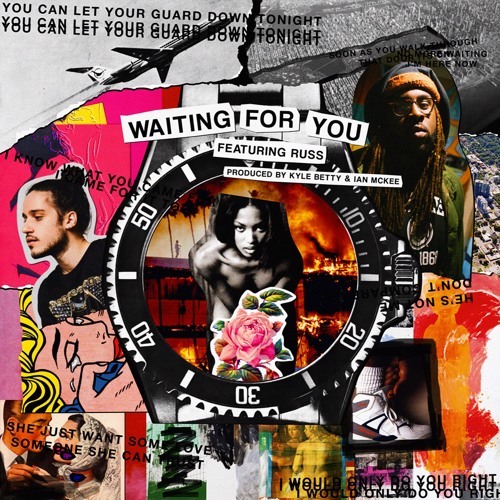 Check out Rexx Life Raj’s new song ‘Waiting For You’ with tour mate and collaborator Russ. Thundercat is well known for his musical genius in every aspect of the game. Being a bass player at heart does nothing to hold him back from excelling with his voice. The track above featuring one of his frequent collaborators Kendrick Lamar oozes with classic qualities. Thundercat’s gentle vocals and Kendrick’s smooth and always powerful lyrics come together to give us music we can all vibe to. This song is another offering from Thundercat’s upcoming album “Drunk”, dropping this Friday, Feb. 24th. Slackin’ has never been part of E-40’s vocabulary. The Bay Area Legend made that clear in his new visual. In communication with The Fader magazine, E-40 said he wanted to put himself an ordinary person’s shoes and express the grind he would put in to make it. Ricco Barrino’s amazing hook makes this track a hit. The inspiration taken from his words and the passion in his delivery makes it hard not to feel the songs message. With over 30 years in the booth it’s astonishing that 40 can still drop records that have an incredible impact, a trend he’s continued thanks to his uncompromising hustle . Enjoy and motivate yourself with the visual for ‘Somebody’ above. Pacing past shattered mirrors and lurking in dark rooms seems to be Lucki’s comfort zone in the visual for ‘Options’. The simple but fitting visual is look into his head, displaying the dysfunction he’s grown numb to. Enjoy the video above and stay tuned for his upcoming project Watch My Back. The song below is the latest release from the buzzing Los Angeles duo. It showcases their smooth voices over a thumping beat, adding a level of excitement to their low key lyrics. With their debut album Nü Religion set to release this Friday, THEY. made a strong statement with this solid release. Forced into a day of hard labor, Your Old Droog, accompanied by his two fellow NY MC’s Wiki and Edan, give some comic relief to their unfortunate circumstance. The hilarious visual above is the beginning of Droog’s rollout for his upcoming project Packs dropping March 10th. Check out the video above and hit Souncloud to peep the recent collaborative project from Your Old Droog and Wiki, What Happened To Fire? Durk is at his best when he spits game on his tracks, especially when he touches on the importance of loyalty. ‘Better’, which will be on his next project Love Songs For The Streets, is another hard hitting track with major gems laced throughout. Atlanta rapper J.I.D is making it a point to show another side of his city’s musical output. His delivery is complex to the point where you need and want to pay attention. Packing his bars into this track while still keeping it interesting shows the balance he has between meaning and feeling. His new deal is the mark of a real artist but his music has set the expectation for the rise of a real MC. Enjoy above and look out for his upcoming project The Never Story.